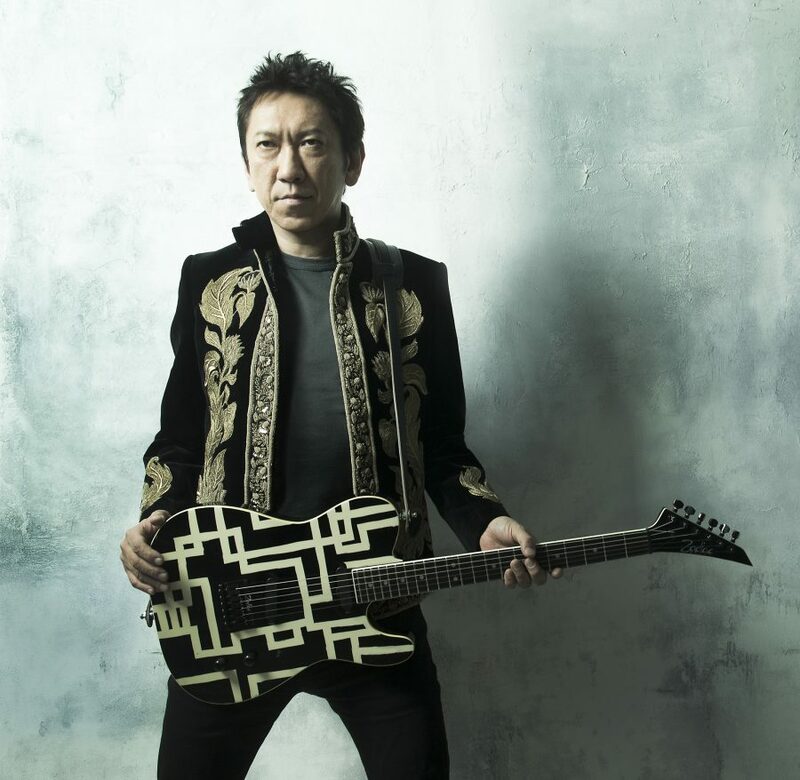 Tomoyasu Hotei, known as HOTEI (‘hoe-tay”), is an acclaimed Japanese guitarist, songwriter, composer, performer and record producer, who currently resides in London. HOTEI has sold more than 40 million records in a 35 year career to date, and is best known internationally for the song “Battle Without Honor or Humanity”, which was made famous by its inclusion in Quentin Tarantino’s “Kill Bill” movie. HOTEI began his career in 1981, as co-founder, guitarist and principal songwriter of legendary Japanese rock band BOOWY, (“boy”), who enjoyed phenomenal success as one of Japan’s most popular and revered bands. HOTEI established himself as a solo artist in the late 80s, after the break up of BOOWY. His debut solo album “GUITARHYTHM” (1989) was recorded at Abbey Road Studios in London and its huge success was followed by a string of multi-million selling albums, each one musically different to the last. HOTEI sings in both English and Japanese, and his music combines his virtuoso guitar playing with a variety of musical styles, from western electronica, rock and pop to oriental influences, to create music that often has cinematic qualities. The majority of HOTEI’s solo albums have been recorded in the UK and Europe, the locations inspired by HOTEI’s love of British rock music, and especially David Bowie, Roxy Music and The Rolling Stones. HOTEI gives as much thought to his visual presentation as to his music, and his albums and tours often contain elaborate graphics and stage settings. 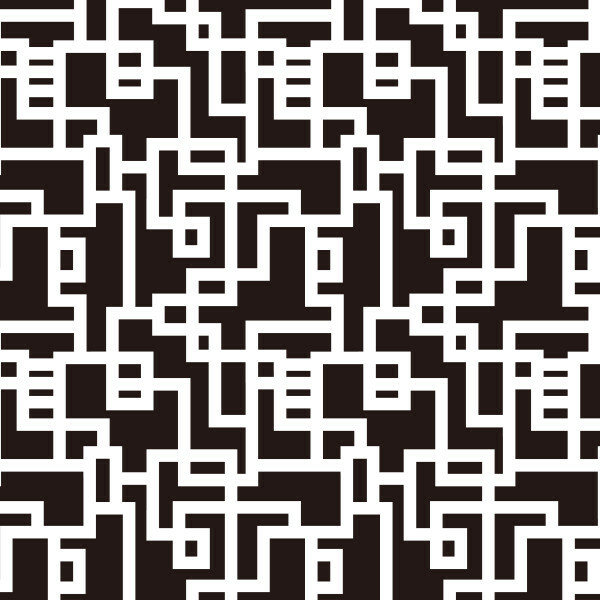 When still a teenager, HOTEI created his own geometric “pattern” (used elsewhere on this website), which has featured on hundreds of merchandise items and household goods ever since. He retains a strong interest in fashion, and has collaborated with several major fashion designers, including Yohji Yamamoto and Paul Smith. As well as establishing himself as a major solo artist, HOTEI has also written hits and produced for many other artists in Japan, including Miki Imai, one of Japan’s most successful recording artists, and more recently for major Asian pop superstars like Infinite. HOTEI is also well known as a composer for film and TV, most notably for his iconic song “Battle without Honor or Humanity”, which was made famous by its inclusion in Tarantino’s masterpiece “Kill Bill” (2003). “Battle” has been extensively used in film, TV and sports programming ever since, and has become one of the most requested songs worldwide for synchronization use. HOTEI has contributed to many films, including the Terry Gilliam classic “Fear and Loathing in Las Vegas” (1996); he created a new arrangement of the theme song for “Mission Impossible – Ghost Protocol” (2011) and performed the song at the premier. HOTEI has also contributed to many successful Japanese films with notable directors, including the Junji Sakamoto films “K.T.” and “Shin Jingi Naki Tatakai”, and Hiroyuki Nakano’s influential “Samurai Fiction” and “Red Shadow”. He also wrote and performed the theme song for detective movie “Lupin The Third”, one of Japan’s biggest films of 2015; Recently HOTEI wrote new theme songs for several programmes on NHK and Fuji TV (2017). He remains in demand as a composer for film and TV. HOTEI has also collaborated extensively in his career, both as a performer on stage with other artists, and as a songwriter and producer. His list of collaborators includes stage performances with the likes of David Bowie, an appearance at the Atlanta Olympics with celebrated composer Michael Kamen (1996) and The Rolling Stones at the Tokyo Dome (2014). On record, HOTEI has written and recorded with many different artists, both new and established, including US icons Iggy Pop and Steve Vai, and British rock bands Asia and Gang of Four. HOTEI featured on Italian superstar Zucchero’s latest studio album in 2016, with both artists performing live together on numerous occasions in their domestic markets of Japan and Italy, to help grow one another’s profiles in those markets. HOTEI formed a rock duo called COMPLEX in 1989 that had two no.1 albums in Japan. In 2011 HOTEI reformed COMPLEX, who performed two sold out nights at the Tokyo Dome to 100,000 people, to support the reconstruction of areas affected by the Great East Japan Earthquake. In 2012 HOTEI re-located from Tokyo to London with his family, to further develop his international career. After signing a new recording contract with Universal, HOTEI released his debut international album, STRANGERS, to critical acclaim in October 2015. The album contained numerous collaborations, including Iggy Pop and Richard Z. Kruspe from German rock superstars Rammstein. The album campaign was supported by live shows in USA and Europe, with HOTEI performing live for the very first time in his long career in many places, including Los Angeles, Paris and Amsterdam. In 2016 HOTEI celebrated his 35th Anniversary in music with an extensive programme of activities in Japan, performing 57 shows culminating with his 40th headline show appearance at Tokyo’s Budokan arena, where he performed 35 songs to celebrate his 35 years, in a set lasting over 3 hours. He was also a guest on Zucchero’s new album, Black Cat, and performed live with him for the first time in Arena Di Verona in Italy, part of a record breaking run of shows that Zucchero did for this Black Cat world tour. In Spring 2017 HOTEI completed his first headline tour of Europe and his first ever shows in Hong Kong and Taipei. HOTEI released his 17th studio album, Paradox in October 2017, his first Japanese language album for five years, it debuted in the Japanese chart in the top 10, and was being supported by a nationwide tour of Japan. Hotei started 2018 working on various music commissions for TV shows and other artists, and continued to collaborate with Zucchero, performing with him in Torino, Milan and at two prestigious shows in Venice.